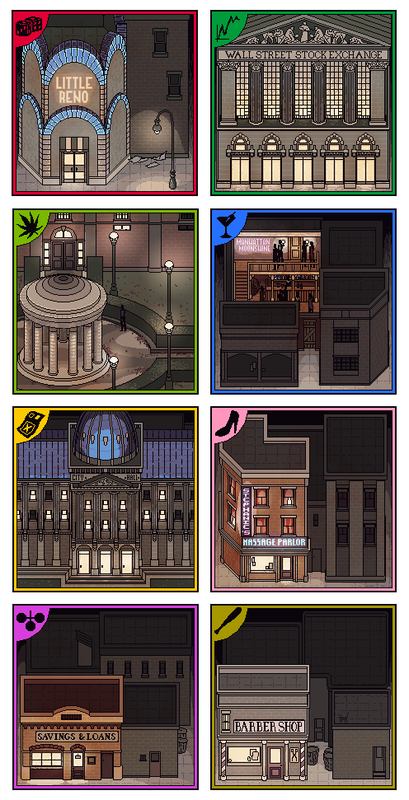 These are work in progress sprite art for a board game based on mobsters, cruising about town setting up some drug rings, rigging casinos and getting rid of stolen goods with a pack of nasty boys. There are 50 of these tiles, so there's a still a while to go. I'll be working on this for another week or so, so expect more spritey things soon!